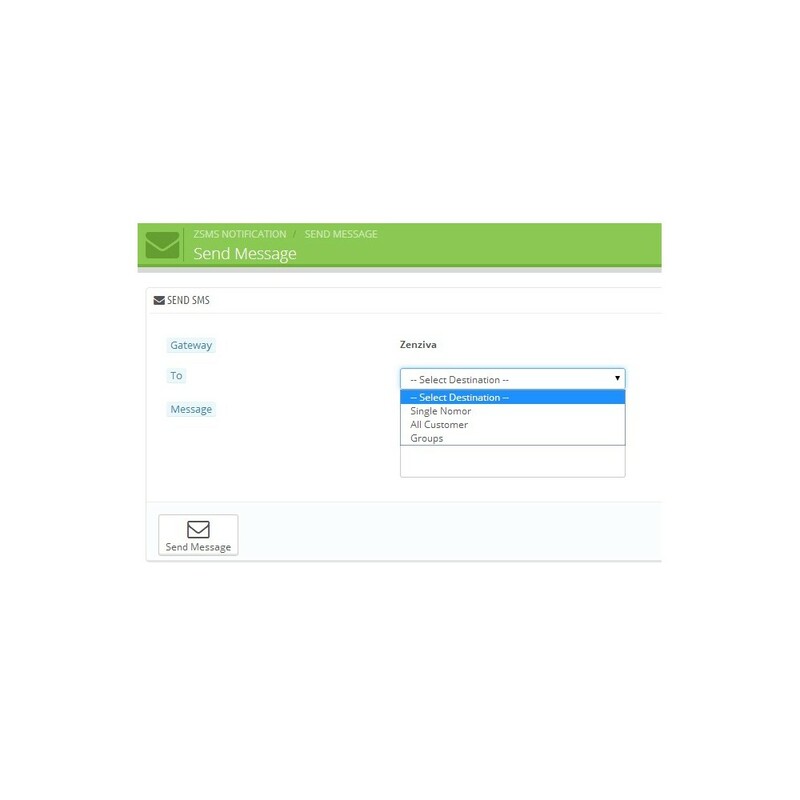 Send SMS notification or alert or autoresponse on different events to admin and customers on new order, change status order, add tracking number, and new register. This module allow PrestaShop to send SMS notification or alert or autoresponse on different evens. And also administrator for send message to custom destinations number like to one destination number, group and all Customers. Keep in touch with your Customer by SMS. Send informations to customer by SMS. Customer not must check their email to know about order status information. Send your promotion by SMS to Group or all Customer. Send a SMS Notification to the store owner when a new order is created. Send SMS Notification to store owner when a new account is registered. Send SMS about order details when place order. Send SMS login account informations when register proccess success. Send SMS to customer when their order status has changed. Every order status can have different message. Send SMS to Customer when Tracking Number had updated. One destination mobile phone number. Customers will keep informed by SMS about their orders. Customers will receive SMS about Tracking Number when their order was shipped. Customers not only must check email for their orders informations. Customers will always obtain current information wherever they are. 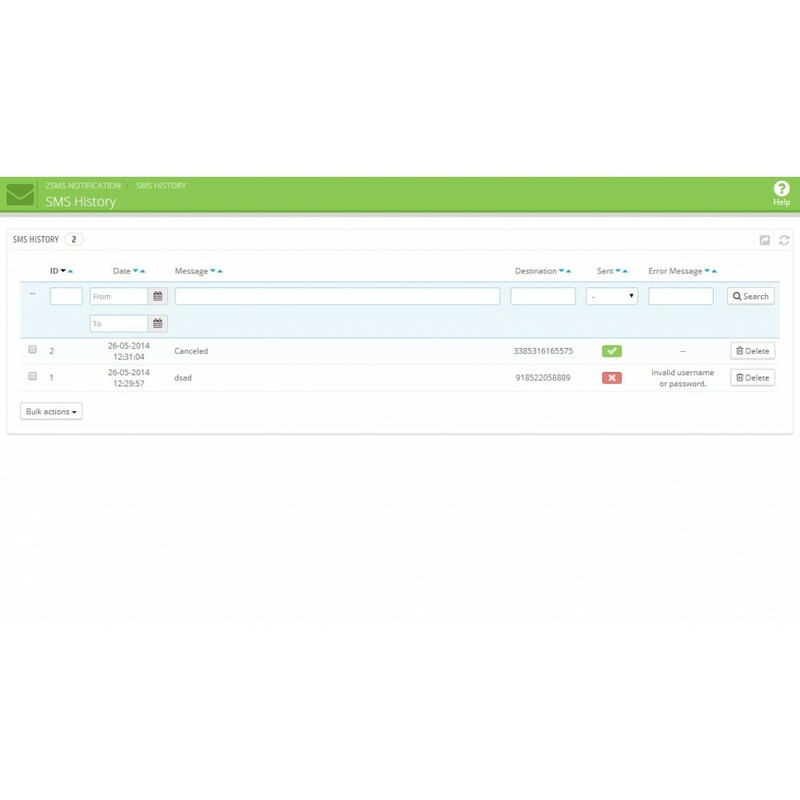 Go to the MODULES page in the administration Dashboard of your PrestaShop website. Click Add a new module button and click Choose a file button select from your Computer the previously downloaded zsms.zip module and click Upload this module button. 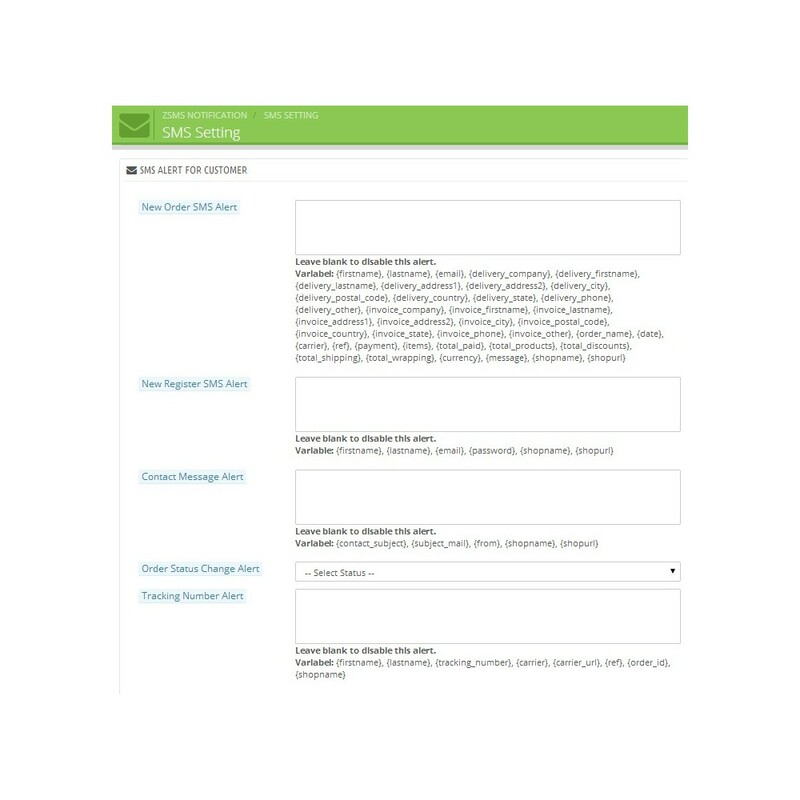 After module uploaded, the module will be in Administration category with the name is zSMS Notification. Click Install button and module will be installed. 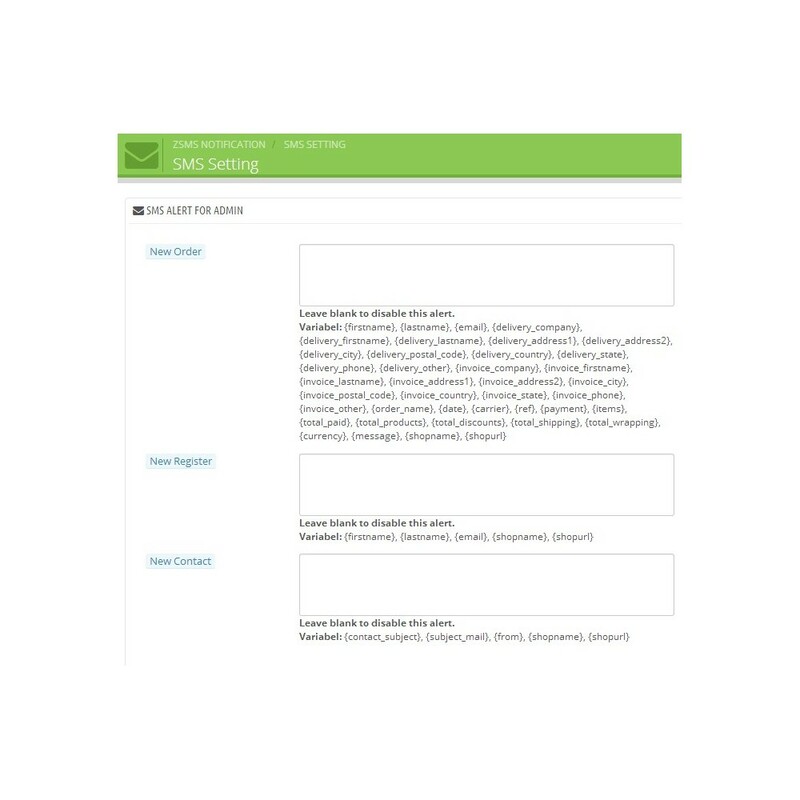 In the left Menu will added new menu with name ZSMS NOTIFICATION. 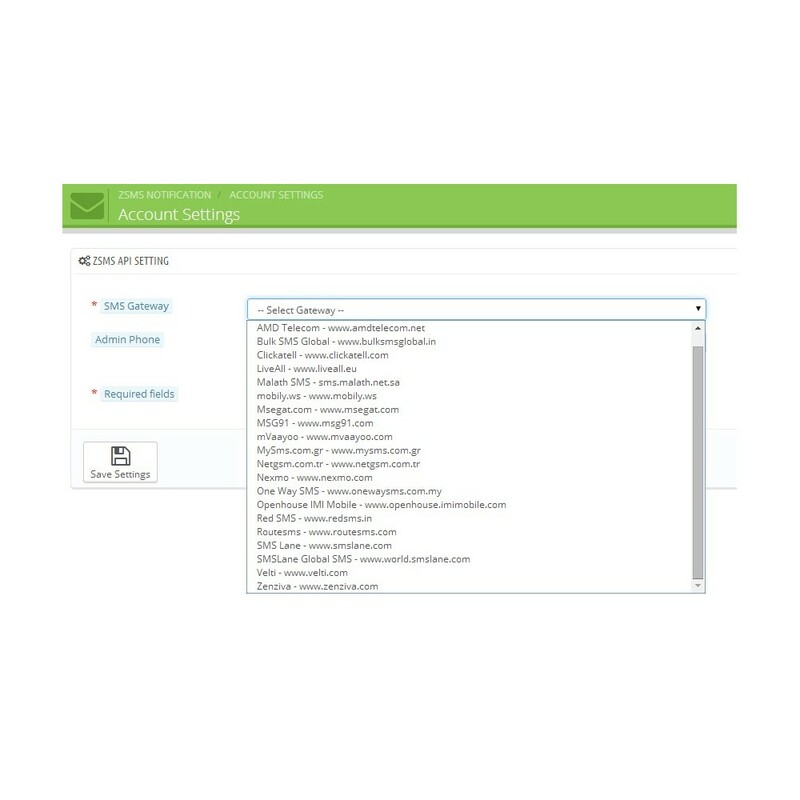 Go to Account Settings sub menu and set your gateway detail who will be used.